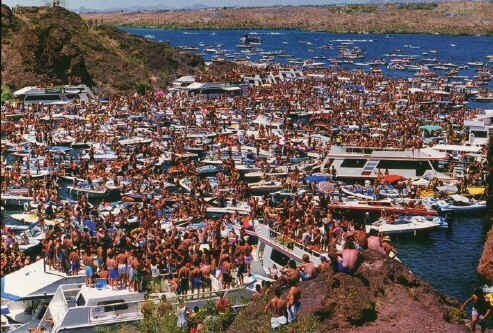 Lake Havasu in Arizona is a mecca for desert lovers. More than 2 ½ million visitors travel here every year to see landmarks such as the world-famous London Bridge. This lake is 45 miles long with 450 miles of shoreline. There are more than 300 sunny days out of the year at Lake Havasu, making it a dream spot for sunbathers and water sports enthusiasts. The lake water ranges from 68 degrees to over 100 degrees F. Nearby cities include Lake Havasu City, Arizona, and Needles, California. Lake Havasu tourists can bask in the sun at a variety of beaches and parks around the lake. There are also places to get some shade such as the Island Fashion Mall and other shops, movie theaters, shooting ranges, and a wildlife refuge. People can explore historic mines and abandoned town sites nearby. 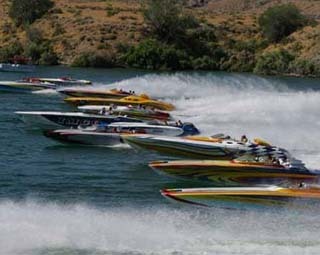 Lake Havasu City also hosts music festivals, auto shows, and a jet ski competition every year. There are a plethora of outdoor activities for visitors. Lake Havasu boasts an abundance of nature trails surround the lake, giving people a chance to observe more than 200 bird and wildlife species that are found in the area. Lake Havasu City is also very pet-friendly. Visitors enjoy sailing, canoeing, kayaking, water skiing, parasailing, 4-wheeling, and taking seaplane or bi-plane rides. Fishing is also a popular year-round activity at Lake Havasu. Anglers can expect to reel in striped bass, bluegill, channel catfish, crappies, sunfish, largemouth, and smallmouth bass.